Loft Open Space unite 4 persons. 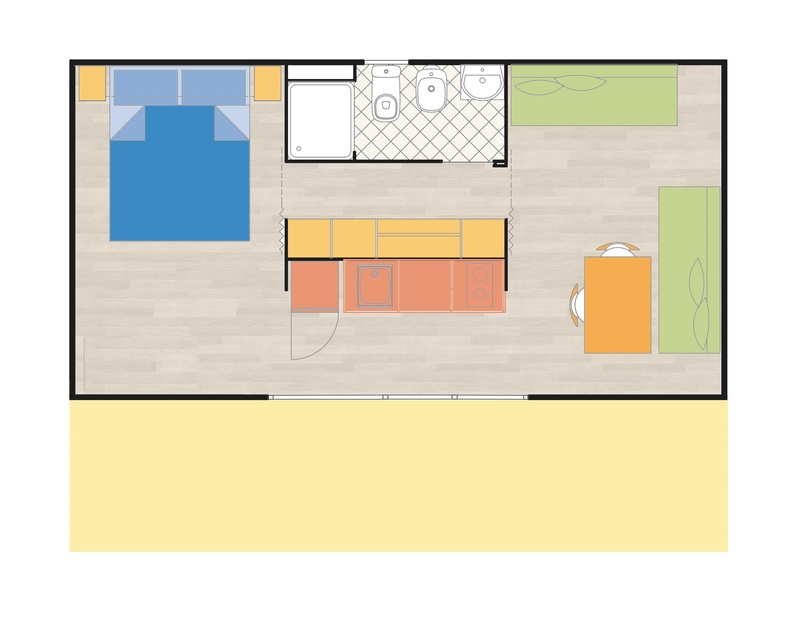 This unit is a one big Open Space unit composed by a double bed on one side and two single sofa beds (opened they measure 70 x 190) on the other side, Kitchen, bathroom with shower, WC, bidet, hair-dryer. Equipped with air conditioning and TV. External veranda with table and chairs. On request we can add a Baby Crib or Baby Bed in the same area as the Double Bed. This unit is not for pets.